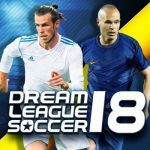 Dream League Soccer 2016 is the latest addition to First Touch Games’ soccer series for iOS and Android devices, but at the moment, it’s only available for the iPhone and iPad. First Touch says that this new game is better than ever, with the usual features you can expect in an in-depth mobile soccer game. These include recruiting actual FIFPro licensed star players (in other words, real-life superstar players), building your own stadium, and taking on other human players in Dream League Online mode. This game is all about creating your own soccer “Dream Team,” moving up in the ranks through six leagues until you top the Elite Division. And you’ll also need to create smart strategies for your team, while testing your mettle against the game’s sophisticated artificial intelligence. Want to become the top manager in the Elite League? That’s going to take a while, but we can at least help you get there a little faster. 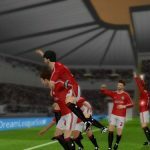 Check out our Dream League Soccer 2016 strategy guide below, and you just might experience far more success than you normally would, regardless if you’re facing the game’s AI or other human players. You may want to start off right away in your quest to become the ultimate manager in this game, but before you do that, you’ll want to go through the tutorial. But for the sake of those who want to skim through the tutorial or forego it altogether, you can skip the tutorial, start a new game and pause it, head to the game’s settings, then to Controls, and learn what each of the different buttons do. Still, we recommend that you go through the tutorial, as First Touch itself will be explaining the game’s main features and controls. This is probably something that should go without saying if you’re a veteran of sports management sims. You should always make sure that all your players are in their preferred positions. You can’t play a center midfielder in attack, and likewise, your strikers shouldn’t be played as defensive backs. Those who prefer the right side shouldn’t be played in the center, and so on; you get the idea. You’ll have an idea of whether your players are best-fit for the position you place them in by seeing if the icon is green, yellow, or red. A green icon means that they’re right where they should be, while a red icon means that they’ll be playing their worst at that position. 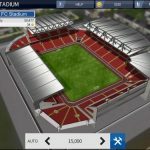 Unlike other games such as Top Eleven or Football Manager, Dream League Soccer actually goes beyond the management aspect, and also requires you to fire at the goal. It may take a good amount of practice to fully master the right technique for shooting the ball, but you will need to practice, especially when it comes to ball control. Practice shooting at the right distance from the goal, and not at a position where you often end up over- or under-shooting. Just as a heads-up, the shooting controls can be quite challenging, so we couldn’t emphasize it enough – practice, practice, practice. If you need money for your squad, you’ll want to sell some of your more popular, or special players. Sure, you’re going to lose a lot of talent, but if it means having enough money to afford someone better, then why not go for it? Be patient when it comes to selling your rares. Conversely, you want to pay as little as possible when buying a top-notch player in the transfer market. It’s all about buying low and selling high, and if the above tip tells you to sell high if you should sell, we’re now talking about buying as low as possible, or below a player’s market value. Typically, you want to look for lesser-known players with good statistics, and ideally those that fill a need in your team. And while football/soccer junkies may be blinded by a big-name player and his reputation, it’s invariably better to bypass the marquee name in favor of an unheralded talent who’s got some impressive stats to his name. In the early goings, however, it may be a better idea to make sure you’ve got a sizable squad of players, while continuing to add better players to your squad. That will allow you to easily swap tired players for fresh legs. You can always sell your commons/low-quality players once your team gets even larger. So which players should you sign first, in terms of their position? 7. What Positions Should You Focus On In Transfers? As the goal of soccer is, well, to score goals, your best bet is to sign a high-quality forward. And depending whether you prefer an attacking or defensive game, you’ll then want to sign another forward or another midfielder or another defender. Put a premium on those fast players, as speedy players are almost always better overall than those who are slow on their feet. 8. What’s The Best Tactic In The Game? It will all depend on your playing style, as there really is no such thing as a “best tactic” in Dream League Soccer 2016. But generally speaking, it’s those offensive tactics that tend to be more favorable in this game against AI opponents. You might want to try playing a 4-4-3 or even the conventional 4-4-2 to get an edge against your opponents, with your playing style set to attacking. Against human opponents, the choice is all yours. The Player Development section allows you to make your players better by training them and improving their stats. You’ll have to pay 50 coins for one development session; that’s a lot of in-game money, but it will be worth it if you’re able to make your good players better. And it might also save you money you otherwise would be spending on the transfer market to bolster your lineup with better players from other teams. Sure, you can play the transfer market and buy low/sell high, but it’s also very satisfying – and practical – to train the players you already have. If you want to maximize your reward-earning potential in the game, we strongly recommend that you try your luck in career mode and tournament mode alike. If your team isn’t up to par yet, you’ll probably want to skip the tournament mode for the meantime, but if you’re able to do well in that mode, you can earn some rewards that are worth keeping. So why else should you take part in tournaments, or take on human opponents in general? Playing against other human players, according to some Dream League experts, is far more worthwhile than playing against AI-controlled teams. And we can’t say we disagree with that; it tends to be easier to pick up some neat moves if you compete mainly against human opponents. This would be our collection of tips, tricks and cheats for Dream League Soccer 2016. In case you haven’t read our previous Dream League Soccer guide on how to earn more coins in the game, we strongly suggest you to check it out.